Air Compressor Overheating | Compressor-Pump & Service, Inc. If your air compressor is overheating, it will be more likely to stop working over time. This will lead to you needing to have your air compressor repaired or replaced. Also, by having the compressor shut down, your company will have to cease production until the compressor is made operational again. You will save money by identifying why the air compressor is overheating in the first place and correct these problems. The first place to check is the area surrounding the compressor. As you might expect, an area nearby the compressor that is too hot will cause the compressor itself to overheat. The space should be insulated so that heat is not allowed to intrude on the space. Look for any heat sources nearby the air compressor and determine if there is a way that the workshop can be modified so that the air compressor is not as exposed to the heat source. Place the air compressor in the coolest area of your facility in order to prevent it from overheating. During the summer, it is best to keep the air compressor away from windows through which sunlight can enter. These changes may seem small, but they can have an impact on the operating temperature of your compressor. The compressor might draw air in from outside. The ducts need to be large enough for adequate ventilation. When ducts are too small, an HVAC system will need to work harder to keep the space conditioned. Depending on the strength of the HVAC system, it may be impossible to condition your space well enough with small ducts. If the ducts are too large, the air will not have enough velocity and may fail to reach the conditioned space. It is recommended that you hire an HVAC contractor rather than trying to size the ducts yourself because the correct duct size requires a complicated formula. Not properly sizing your ducts can be an expensive mistake. Make sure that the ducts are not blocked. For example, there may be furniture that is blocking an air register. It may be worthwhile to hire an air duct cleaning service for an annual cleaning. The compressor might not have enough oil. Oil plays a key role in cooling the compressor. Always check the oil levels. Also, follow the manufacturer’s guidelines regarding how frequently oil should be replaced. The oil might become varnished and this may lead to excessive friction. Lubricants are placed under very harsh operating conditions that can cause them to varnish. The higher the operating conditions that the compressor must be run at, the more frequently that the oil needs to be replaced. The varnish can become very thick and can plug the oil injection ports. The compressor oil will begin to develop a burnt oil smell, so it is a good idea to replace the oil at this point. The thermal valve might be defective. 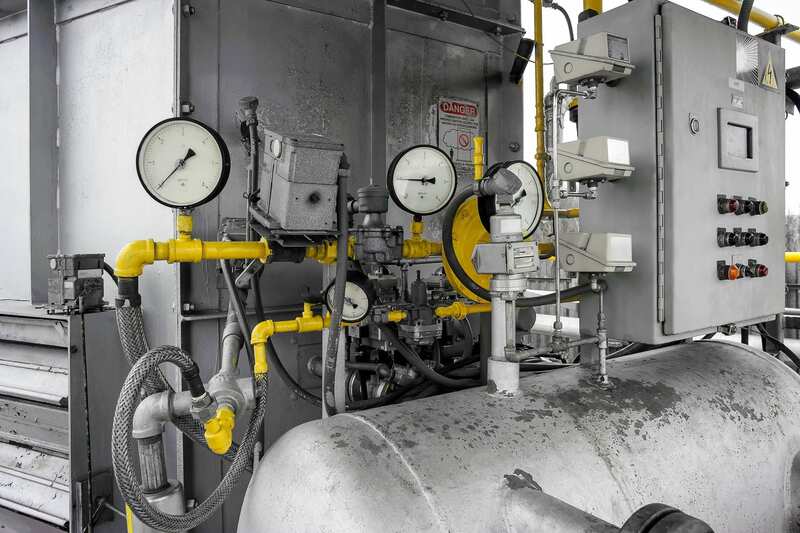 To avoid downtime, it is best to order a replacement thermal valve head of time so that the new valve will be readily available and will not lead to any downtime. Also, the new thermal valve can be compared to the old valve to determine if the old one needs to be replaced. If you have considered all of the reasons why the compressor may be overheating and none of the explanations seem to fit, contact Compressor-Pump & Service, Inc. We will identify and correct the underlying cause of the defective air compressor. If you decide that it is time to have your compressor replaced, we have several options available.